This guide explains how you can convert movies and TV shows for your iPhone 6 from your existing DVD collection, so that you can watch them with multiple languages on your iPhone 6. Apparently, Apple always announces the release of new products around September every year. 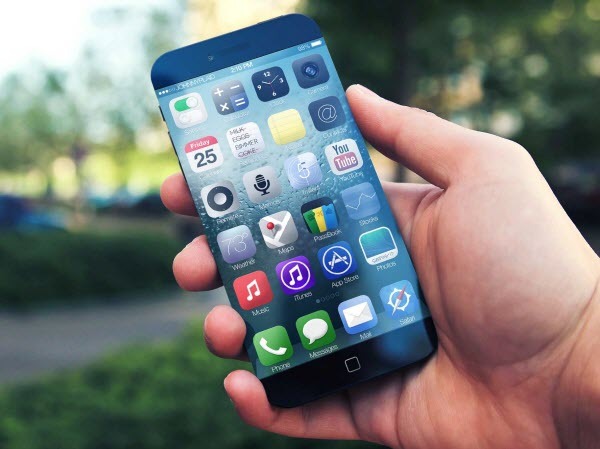 Rumors have suggested that Apple could produce two versions of the iPhone 6 in two different sizes ranging from 4.7 to 5.7 inches. It will be the summer or fall of 2014. Some features are rumored such as larger display, unlimited solar energy for iPhone 6.longer battery life, and new capacitive Home Button with improved Touch ID sensor. It’s rumored that the iPhone 6 will have a Full HD display of 1,920*1,080. It will be excellent for you to enjoy movies on it. However, no phablet has and will have a DVD drive, neither does iPhone 6. Generally speaking, a DVD movie will contain multiple tracks and subtitles, that will give us wonderful audio enjoyment and allows us the select the language we need. Want to get your favorite DVD movies into iPhone 6 for amusement meanwhile switch to the desired language during playback? This tutorial is about how to convert DVD to iPhone 6 in MP4 format easily and fast with keeping multi-tracks. At first, Pavtube ByteCopy is your great choice to rip DVD disc to iPhone 6 compatible MP4 format as well as multiple audio tracks saved for iPhone 6, after converting, you can freely transfer and watch DVD movies on iPhone 6 with any language by switching to the desired one. Step 1. Free download the Multi-track DVD Converter (Mac users can download here), install and launch it. Click the “Load files” button to import source DVD disc. Step 2. Choose “Multi-track Video > Multi-track MP4 (*.mp4)” from the “Format” drop-down list as output format. Tip: This profile extracts more than one audio track from source DVD movies in saved MP4 files. And you are allowed to remove unwanted audio track by unchecking the “Check” box in front of each audio source. Step 3. Hit the “Convert” button on Pavtube ByteCopy main UI to start ripping DVD to Multi-track MP4 for iPhone 6. 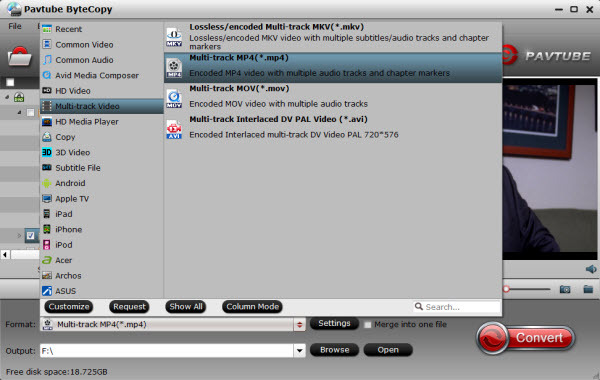 Once the conversion process finishes, open output folder and locate the created multi-track MP4 movie. Step 1. Install multi-track player on iPhone 6. When typing in the keyword “multitrack player” in Apple Store, many free or charged apps would show up, choose one and install on your iPhone 6. Step 2. Then add created multi-track MP4 movie to this multi-track player. Step 3. Open this multi-track player, open the source multi-track MP4, and choose wanted language during movie playback. If you don’t need multi-track format, try Pavtube DVDAid is an easy-to-use program for editing and conversion and makes great quality copies of my DVDs. It works well in putting DVD movies onto iPhone 6. Just have a try! Get more iPhone 6/6 Plus solutions here. My brother recommended I may like this web site. He used to be entirely right. This put up truly made my day. You cann’t believe just how much time I had spent for this information! sending it to a few friends ans additionally sharing in delicious.